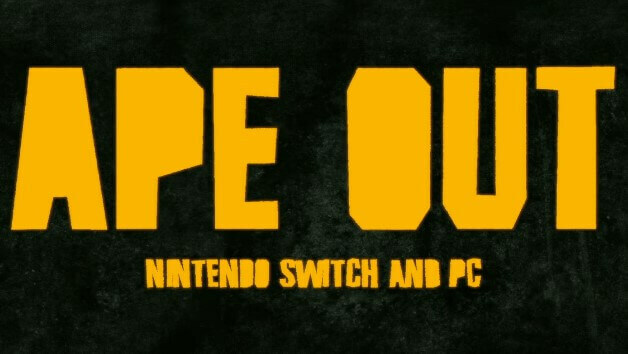 Publisher Devolver Digital and Developer Gabe Cuzzillo have just announced that its new Action, Indie game Ape Out will be coming on February 28, 2019 for the Nintendo Switch via the Nintendo eShop and PC via Steam. Publisher Devolver Digital also released a new trailer for the Ape Out. Watch the trailer below. "Ape Out is a wildly intense and colorfully stylized smash ‘em up about primal escape, rhythmic violence, and frenetic jazz. Build up nearly unstoppable momentum and use your captors as both weapons and shields to crush everyone on your procedurally generated path to freedom. Dynamic Soundtrack: Find your rhythm in the chaos as a dynamic soundtrack of drums, cymbals, and decapitations drive the action to the edge of mayhem."